Customizing your domain allows our customers to have Updates published via your own domain. e.g. @acmeco.com instead of our domains. This functionality requires our Scale Plan. For more information on pricing plans, visit our Pricing Page for up to date information. 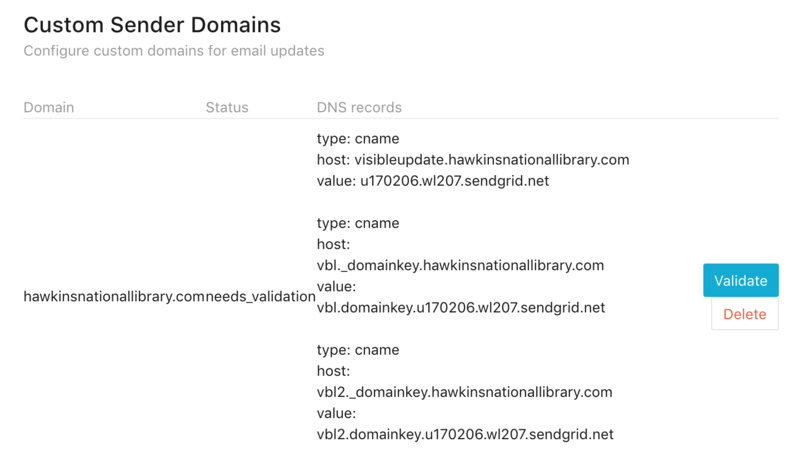 Customizing DNS Settings can be technical in nature. Feel free to share this article with the right person on your team! 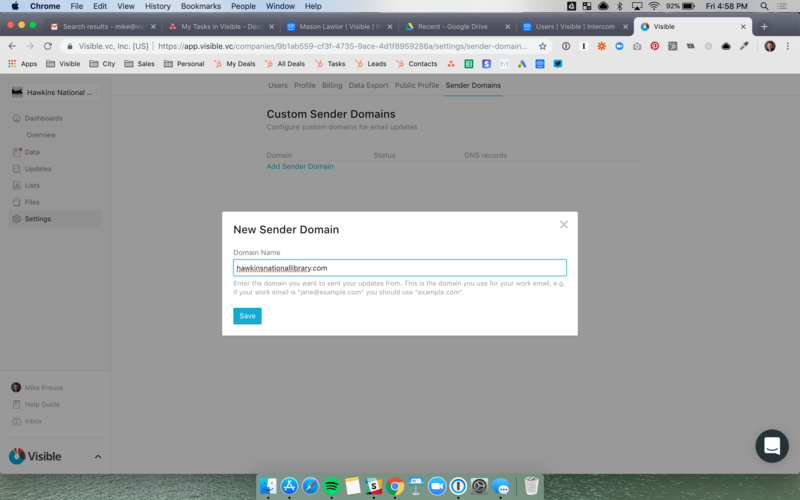 From there, you will want to hit "Add Sender Domain"
IMPORTANT NOTE: The domain in which you are verifying needs to match the domain you send Updates via Visible to authenticate properly. e.g. If you are registered to Visible with john.doe@acmeco.com you will need to verify acmeco.com. Once you've entered your domain and click Save you will then be given 3 records to set for your domain. As you likely know, DNS settings and providers can be more art that science. Contact us if you have any issues verifying. It can take up to 48 hours to propagate and verify but we typically find it should be live within the hour. 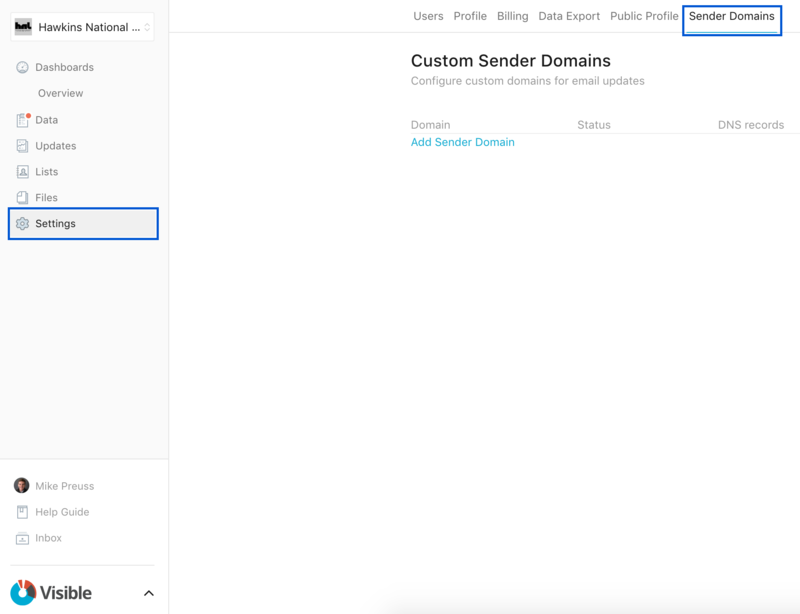 It is important to note that deliverability when enabling a custom domain depends on your own reputation with email providers.